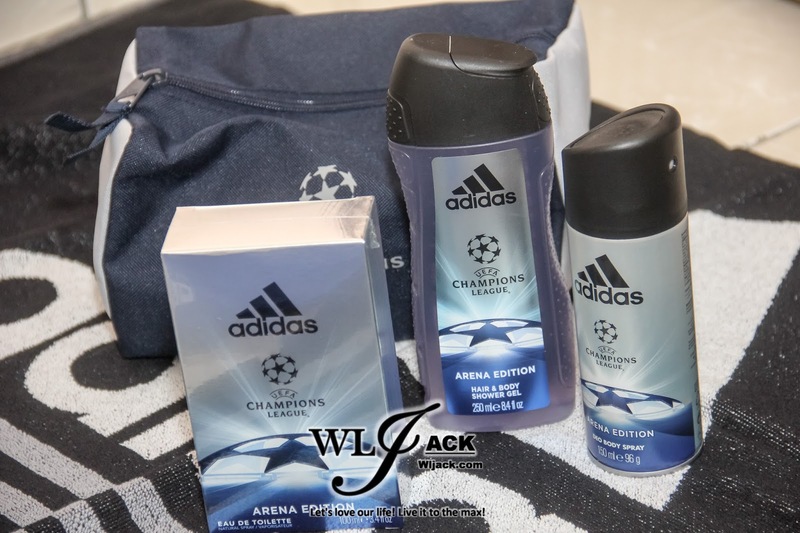 adidas body care launches the new UEFA Champions League Arena Edition! 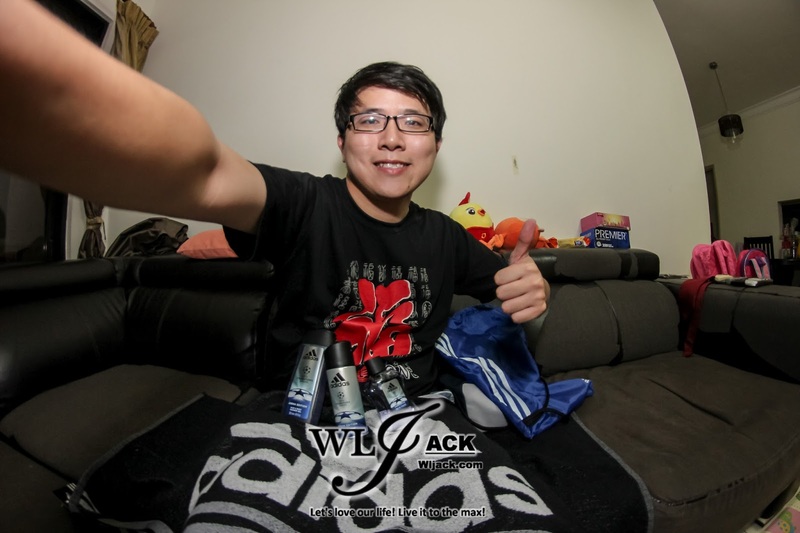 Kuala Lumpur, April 2017 – Wanna get yourself prepped up for the football pitch? 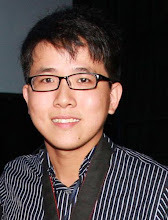 Or feel more confident when going for sports and exercises? 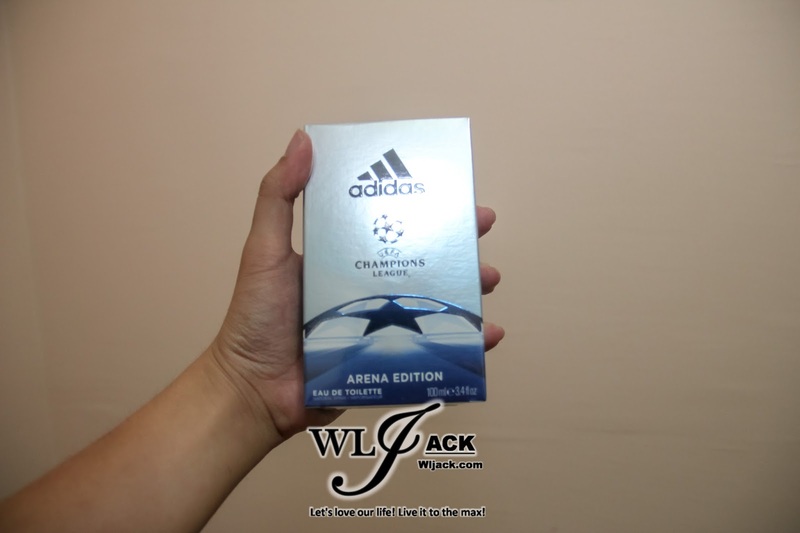 Let’s buck up ourselves with the latest collection from adidas Body Care, the UEFA Champions League ‘Arena Edition’, a range which is inspired by the intense, adrenaline-fuelled action. Following the incredible success of both Trophy and Star Editions, which combined have sold more than four million eau de toilette bottles, Arena Edition represents the third range of UEFA Champions League body care products. 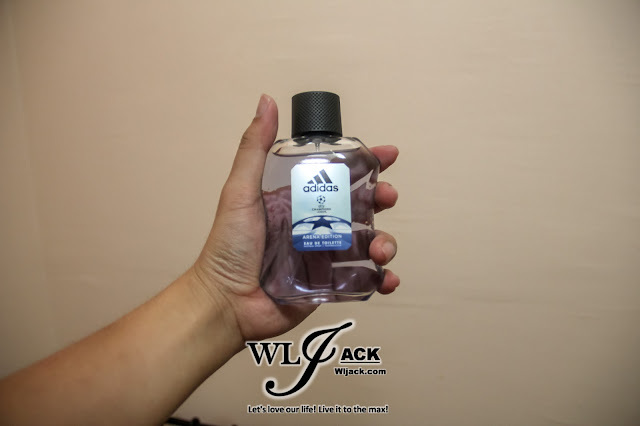 Adidas created its new Arena Edition fragrance for men, with an oriental aromatic scent that exudes explosive power with an invigorating fusion of bergamot, apple and rosemary that delivers a definitive freshness. It can totally freshened up yourself upon kicking off. In the heart of the game, an elegant blend of geranium and jasmine is underscored with spicy coriander for a vitalizing masculinity. With extra time approaching, emotions intensify as warm tonka envelopes rich patchouli and sensual musk to create a vibrant, long-lasting signature. Powerful yet refined, this fragrance is definitely designed for champions. Utilising the distinctive style of the UEFA Champions League, the design for the Arena Edition collection is silver with blue accents – adding to the premium nature of the range. The UEFA Champions League official licensed products will be available from February 2017 for purchase in leading supermarket and pharmacies. The adidas men UEFA 3 Eau de Toilette and adidas men UEFA 3 Deodorant Body Spray provide a pleasant scent for the user despite going through sweaty exercises. This range also comes with Hair & Body Shower Gel which is very refreshening before and after vigorous sports. I personally think the products are great for the athletes, footballers and exercise goer. 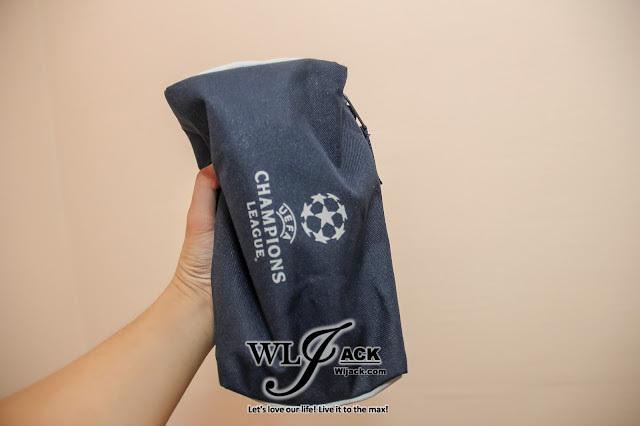 Of course, for my case, these totally helps me to conceal my odour while I am doing my primary job as a doctor in an adrenaline-fuelled condition as well as during my blogging tasks whereby I need to move swiftly here and there to capture the moments for event coverage. 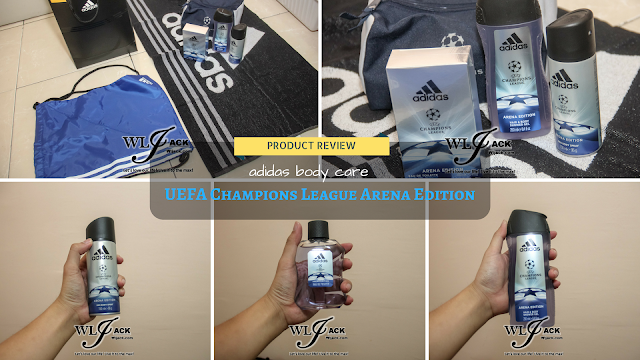 Special thanks to Coty, one of the world’s largest beauty companies for giving me a chance to try out the products from this new line of adidas UEFA Champions League Arena Edition Body Care Products. Coty is one of the world’s largest beauty companies with approximately $9 billion in revenue, with a purpose to celebrate and liberate the diversity of consumers’ beauty. Its strong entrepreneurial heritage has created an iconic portfolio of leading beauty brands. Coty is the global leader in fragrance, a strong number two in professional salon hair color & styling, and number three in color cosmetics. Coty operates three divisions – Coty Consumer Beauty, which is focused on color cosmetics, retail hair coloring and styling products, body care and mass fragrances sold primarily in the mass retail channels with brands such as COVERGIRL, Max Factor and Rimmel; Coty Luxury, which is focused on prestige fragrances and skincare with brands such as Calvin Klein, Marc Jacobs, Hugo Boss, Gucci and philosophy; and Coty Professional Beauty, which is focused on servicing salon owners and professionals in both hair and nail, with brands such as Wella Professionals, Sebastian Professional and OPI. Coty has approximately 20,000 colleagues globally and its products are sold in over 130 countries. Coty and its brands are committed to a range of social causes as well as seeking to minimize its impact on the environment. 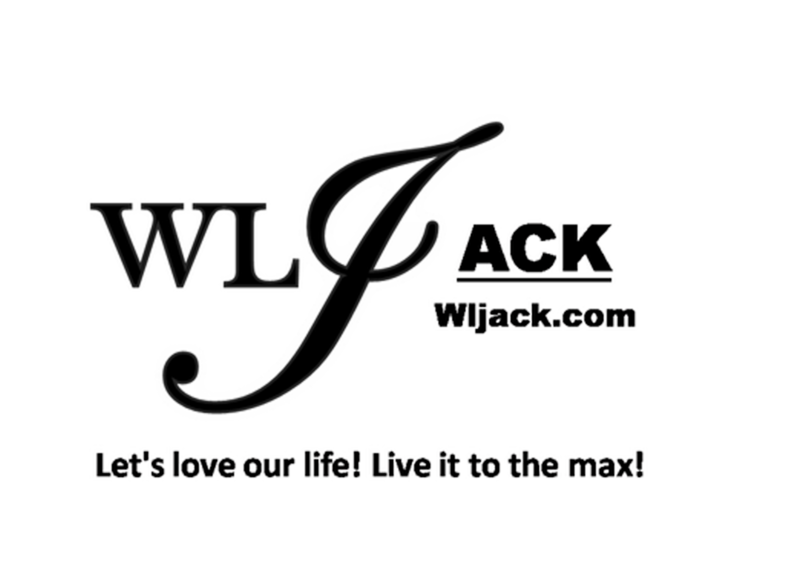 Drop us an email at jackwriter90@gmail.com if you want us to cover your products.